The Productive Muslim Company started in 2007, in the small student apartment of Mohammed Faris, a Tanzanian young man of Yemeni descent, who was pursuing a masters degree at the University of Bristol (UK) in Finance and Investment. Throughout his University years, he found himself fascinated by productivity science and how one can achieve so much in so little time. One day, on a cold November morning, in 2007, Mohammed woke up and two words popped into his head “Productive Muslim”. He got so excited by the term, that he decided to register the domain name ProductiveMuslim.com and launch a personal blog sharing his thoughts and ideas on how to live a productive lifestyle. Two months later, he shut the blog down. He thought the blog was pointless and was not worth pursuing. Fast forward six months later and two incidents propelled Mohammed to reconsider starting ProductiveMuslim.com again but with a new focus. First, a 10-year-old boy emailed him and asked about his blog saying that he was a fan! Mohammed couldn’t believe there was somebody out there who read and benefit from his blog. Secondly, he came across a hadith of Prophet Muhammad (peace and blessings upon him) that said: “The early hours are blessed for my nation” (Tirmidhi), and it was as if a lightning bolt hit him. Because every productivity book he was reading up until that point mentioned the importance of waking up early to be productive. And there was a 1400-year-old saying of Prophet Muhammad (peace and blessings upon him) that encouraged waking up early. He realized that the mission of ProductiveMuslim.com was not to share productivity advice like any other productivity platform. 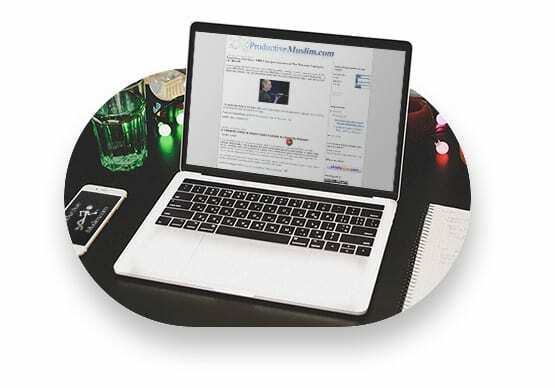 The purpose of ProductiveMuslim.com was to connect spirituality to productivity science and showcase the relevance of Islam in helping human beings live productive, meaningful lives. 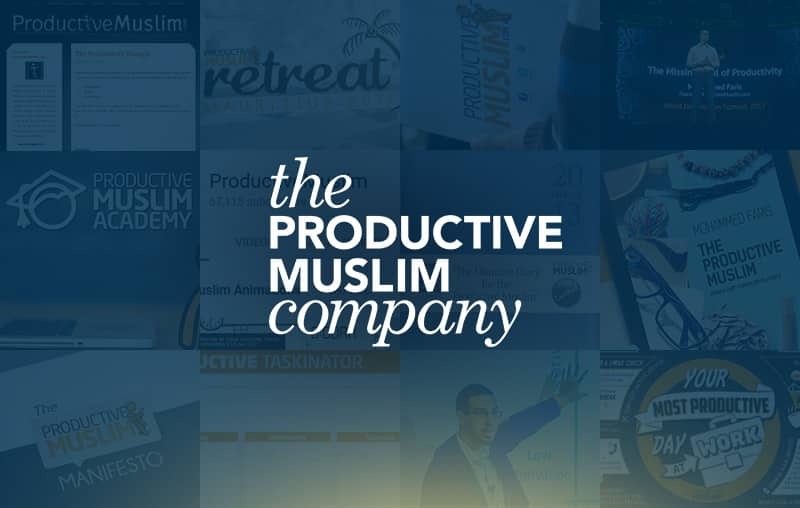 In 2011, Mohammed incorporated ProductiveMuslim.com in the UK as “Productive Muslim Ltd” and started delivering productivity workshops in cities across the world as well as online. 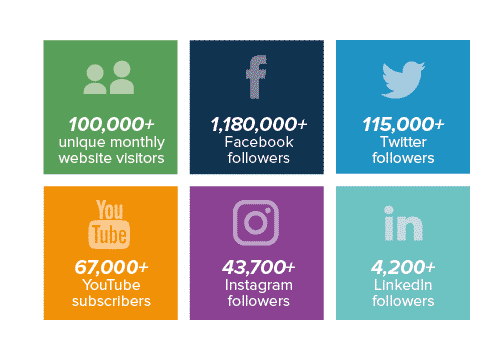 He was supported by a dedicated team of sincere and hardworking volunteers who helped transform the personal blog into a full-fledged training company. 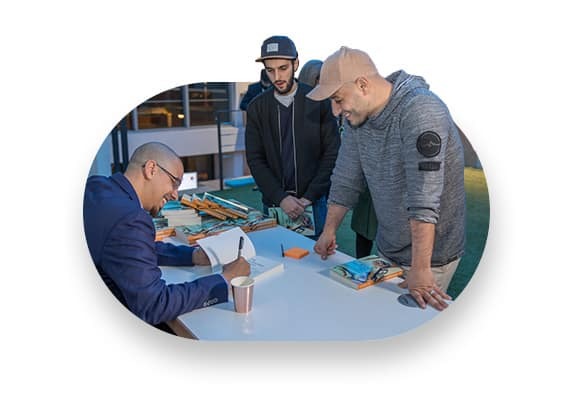 In 2015, Mohammed decided to quit his full-time career at a multinational Islamic bank and move to the US with his family to launch his book “The Productive Muslim: Where Faith Meets Productivity”, and re-launch “The Productive Muslim Company” as a faith-based professional training brand part of his Dallas-based productivity training and executive coaching company, Leading Productive Lives LLC. The above team is supported by a group of dedicated freelancers, contractors, and specialists who help ensure that our work is delivered to the highest professional level. 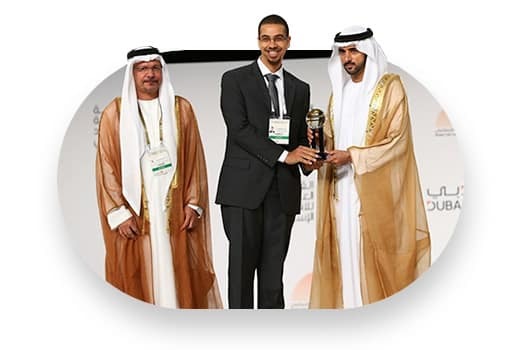 ProductiveMuslim.com won the 2016 Islamic Economy Award in Dubai, UAE. We’ve delivered workshops in over 15 countries across the world, and over 30,000 people have gone through our programs. We won the Brass Crescent Award in 2011, 2012 and 2015 for Best Blog and Best Group Blog. Our founder, Mohammed Faris, was added to the World’s 500 Most Influential Muslim list. In 2016, the Dubai Government recognized Productive Muslim as a pioneer in the digital Islamic economy. In 2016 we were ranked within the top 50 most innovative global Muslim startups. Our story just began…with you! The story of The Productive Muslim Company is not a story of one person or a team. In fact, we honestly believe that all of the above was merely a prelude for the real story of The Productive Muslim company and how it’ll transform you and many of our readers and customers into empowered, productive citizens of the world.